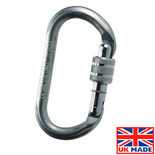 Top quality UK made!General purpose use, especially suitable for use in conjunction with safety harnesses and webbing lanyards. 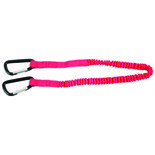 Safety tool lanyard with one aluminium hook and adjustable strap, capacity 4.5kg, extends to 120cm. 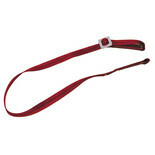 Safety tool lanyard with two aluminium hooks and supplied with 4mm wire accessory. For use with podger spanners or tools with holes. 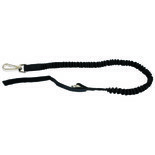 Lanyards capacity 4.5kg extends to 120cm. 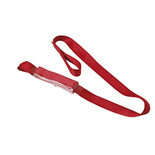 Safety tool lanyard for securing your screwdriver. 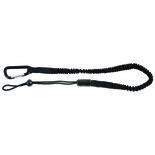 Capacity 1kg, dia 8-10mm extends to 143cm. 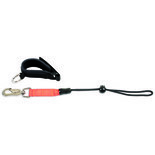 Safety tool lanyard with two high strength hooks supplied with a 4mm wire accessory for use with tools with holes for fixing such as podger spanners capacity 4.5 kg extends up to 120cm. 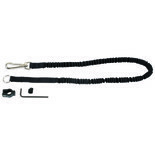 Safety tool lanyard with one high strength hook for use with cordless drill. Capacity 3 kg extends up to 120cm. 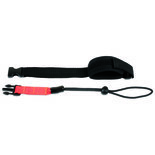 Safety tool wrist strap, adjustable lanyard is ideal for working at height. 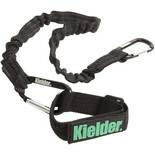 Safety tool wrist strap adjustable lanyard with D hook. Ideal for working at height.